VSSUT Admission 2019 – Veer Surendra Sai University of Technology has released the admission notification for various courses. 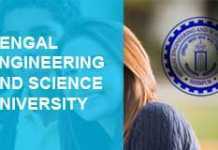 The admission Test/Interview will be held in broad disciplines of Engineering (Architecture, Civil, Computer Science, Chemical, Electrical, Electronics & Telecommunications, Information Technology, Mechanical, Metallurgy & Materials, Production,) and Science & Humanities (Chemistry, Computer Application, Mathematics, Physics, and English). Rest all of full-time Regular programs admission details will be notified soon. Candidates can check the complete information of VSSUT Admission 2019 like application process, eligibility criteria, etc through this page below. The following courses are offered by Veer Surendra Sai University of Technology, Burla. Latest: Application Form for Ph.D. Programme has been released. Candidates can download the form by clicking here. Candidates can fill their application form for various courses from the official website www.vssut.ac.in. Candidates can check the complete information VSSUT Admission 2019 application process, eligibility, fee, and other information through this page below. Schedule for the VSSUT Admission 2019 is given below. Notice: Click here to check important information for admission to various programmes. The envelope containing the application should be superscribed as “Application for the name of the Programme 2019” along with the name of the Department (Specialization) as applicable. For detailed information regarding eligibility and selection process of each programme, please visit the University website www.vssut.ac.in, The authority reserves the right to accept/reject any or all the applications or the entire selection process without assigning any reason thereof. The interested candidates may download the application form the University Website and submit a hard copy of the signed completed application along with non-refundable demand draft of Rs.500/- (Rs.200/- in case of SC/ST candidates) in favour of VSSUT, Burla payable at SBI, Burla (Code – 2034 ) or Syndicate Bank, Burla (Code -8062) and send the same by Speed/Regd. Post only so as to reach the Dean, PGS&R, VSSUT, Burla by the last date mentioned against the programme. Attested copy of certificate of 10th / Equivalent Examination. Attested copy of certificate of +2 Sc. / Equivalent Examination. Attested copy of certificate of +3 Sc./B.Sc. / Equivalent Examination. Attested copy of Grade sheets / Mark sheets of the +2 Sc. / Equivalent Examination. Attested copy of Grade sheets / Mark sheets of +3 Sc. (B.Sc.) / Equivalent Examination. Attested copy of SC/ST caste certificate, if applicable. The Candidates, who have not passed the final B.Sc./+3 Sc. Examination, but have already appeared the above examination, shall submit the following documents in place of documents mentioned in Sl. Nos.4 and 7. Final Appeared certificate of +3 Sc./B.Sc. Examination from the Head of the institution in the original. Grade Sheet/ Mark sheets of +3 Sc./B.Sc. Examination except final year duly authenticated by the Head of Institution. Points for Honours papers shall be added only if the honors subject matches with the discipline applied for. In case of students who graduated from universities without any provision of “Honours” (additional papers), the marks scored on papers belonging to the discipline applied for will be considered. Reservation of seat for SC/ST candidates shall be in accordance with government rule. Candidate must have passed or appeared in 2018, 10+2 examination of CHSE, Odisha/CBSE/ICSE or equivalent examinations with Physics, Chemistry and Mathematics as compulsory subjects along with one of the subjects from Biotechnology / Biology/ Technical Vocational Subject / Electronics / Computer Science / Information Technology/ Geology / Statistics. The candidate should have passed individual subject and must have obtained at least 45% marks (40% in case of candidate belonging to SC/ST category) in the above subjects taken together. There is no age limit to appear at VSSUT Entrance Test-2019 for admission into 05-Years Integrated MSc courses in Physics/Chemistry and Mathematics. The candidates must submit appropriate course completion certificate from the Head of the Institution, which they last attended, and copies of mark/grade sheets. List of candidates shortlisted for Written Test and Interview for admission into various Programme 2019 will be released by Veer Surendra Sai University of Technology for VSSUT Admission 2019. No separate intimation for appearing the Written Test and/or interview as applicable will be sent to the candidates. Candidates are required to bring their Photo Identity card issued by Government/Institution for verification at the Examination Hall. Those who have not submitted their original GATE/NET Score Cards are required to submit the same at the time of Interview positively. The candidates are required to report at least 40 minutes before commencement of examination. No candidate will be allowed to appear the test after commencement of Written Test. The eligible candidates are required to bring their original documents as mentioned in the list and one set of attested copy of the same for verification. Click here to download the notice regarding VSSUT Ph.D. Admission 2019. Click Here to download the notice regarding VSSUT M.Sc. 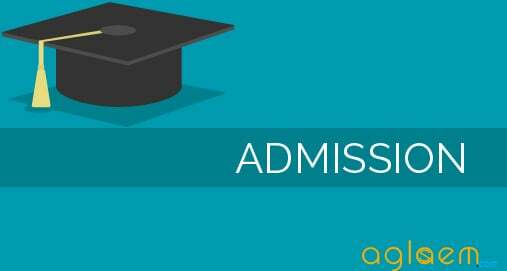 Admission 2019. Click Here to download the notice regarding VSSUT Integrated M.Sc. Admission 2019. Click Here to download the notice regarding VSSUT Integrated M.Phil.Admission 2019.